The roman blind fabric range from Image Blinds offers both privacy and light control, with our three fabric types — sunscreen, light filtering, and blockout — suiting different needs and offering varying degrees of cover and privacy. This fabric range ensures everyone can source the ideal set of blinds for their personal design and style tastes, as well as the requirements of their property. 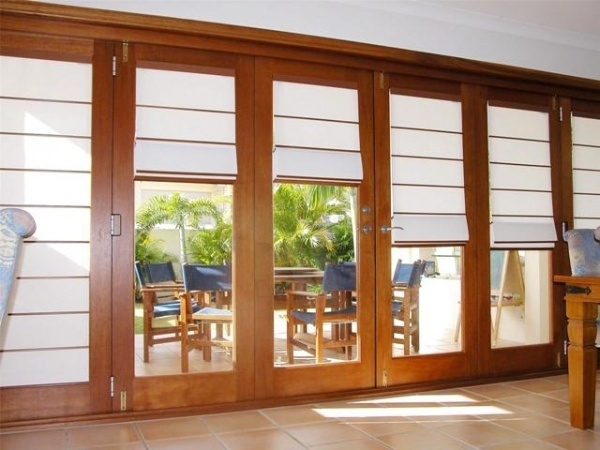 When selecting new window treatments for your doors and windows, it’s important to choose a product that has been designed with your local weather conditions in mind. 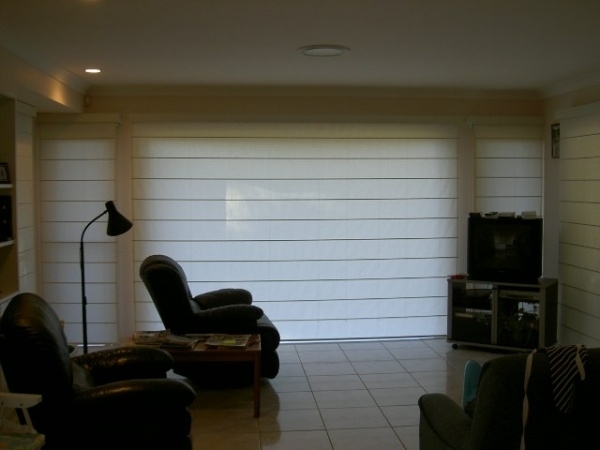 As Image Blinds is based locally in Brisbane at Aspley with our Sunshine Coast showroom at Maroochydore, you’re not only assured an outstanding end-to-end service, but you can also be completely confident that our products are designed and created for local conditions. Our sunscreen and light filtering fabrics have translucent finishes that create a soft, filtered light effect while providing good levels of privacy. This makes roman blinds ideal as kitchen window coverings, lounge blinds and replacement blinds for any room in which privacy is desired. However, if you’re looking for complete light control, you may like to consider our range of canvas roman blinds. 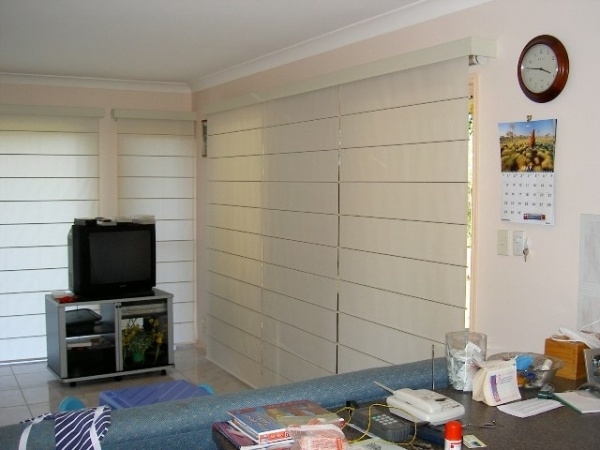 Brisbane and Sunshine Coast properties with windows that bear the brunt of the morning or afternoon sun will benefit from the quality blockout coating, making this product the ideal choice for bedrooms or areas where total light blockout is required. Both the translucent and blockout finishes offer the maximum UPF rating of 50+ which dramatically reduces the amount of harmful ultraviolet light entering a room. It’s a good idea to block ultraviolet light as it can cause the fading or dulling of furniture and floor coverings, not to mention damage your skin. If you’d like to see our finishes in person, please don’t hesitate to visit us at our showroom in Aspley on Brisbane’s Northside and Maroochydore on the Sunshine Coast. 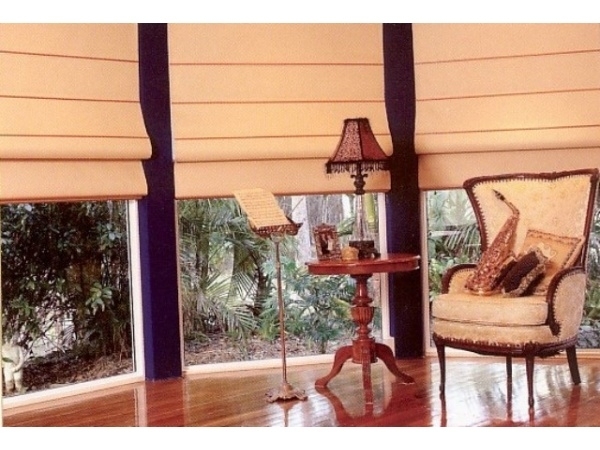 For custom and made-to-measure roman blinds, please contact us. 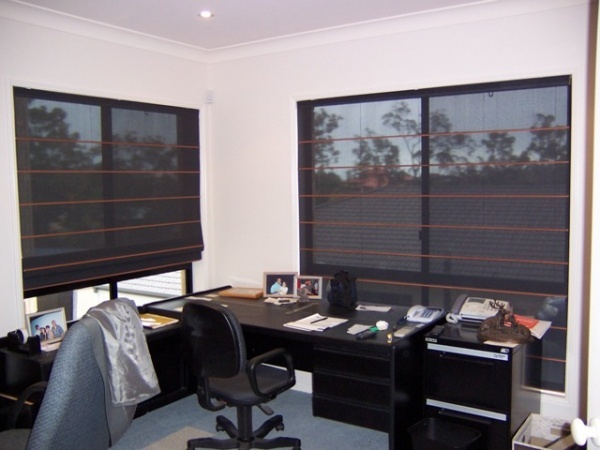 Roman blinds from Queensland’s leading name in door and window furnishings can also be manufactured in a wide range of quality curtain fabrics. 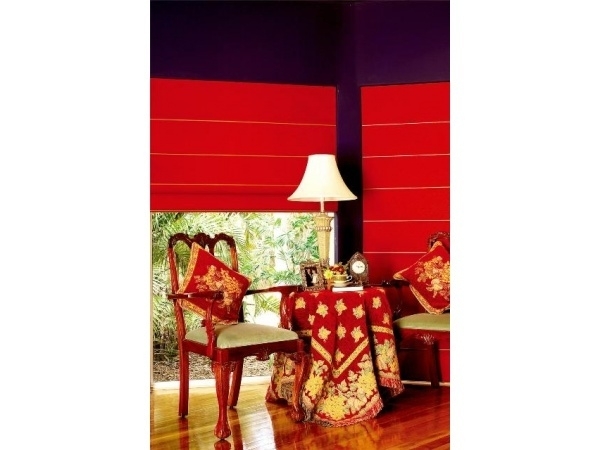 Some of the fabrics available from Image Blinds are Vibe, Contra, Arizona, Vibe Metallic, Kirra, Mantra, and many more. If you’re after custom-made roman blinds for your Brisbane, Sunshine Coast or Gold Coast home, you’ll find that we offer beautifully textured, metallic, and matte fabrics. These gorgeous fabrics and our consultants’ expert advice enable you to match the other furnishings in your home, providing consistency throughout your interior spaces. 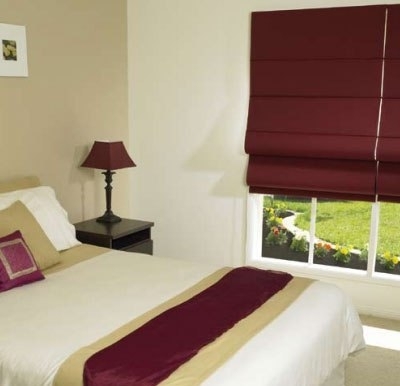 Should you choose our fully custom-made roman blinds which are manufactured here in our Aspley factory by skilled local workers, you’re able to choose the width and drop size, as well as the control position and type, to ensure outstanding results. What’s more, as we’re locally-based, you can order our romans with complete confidence as our personable sales support team is only a phone call away.